Chronicling his travels to Göbekli Tepe and surrounding sites, Andrew Collins details the layout, architecture, and exquisite relief carvings of ice age animals and human forms found at this 12,000-year-old megalithic complex, now recognized as the oldest stone architecture in the world. He explores how it was built as a reaction to a global cataclysm - the Great Flood in the Bible - and explains how it served as a gateway and map to the sky-world, the place of first creation, reached via a bright star in the constellation of Cygnus. He reveals those behind its construction as the Watchers of the Book of Enoch and the Anunnaki gods of Sumerian tradition. 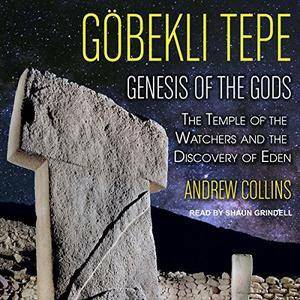 Unveiling Göbekli Tepe's foundational role in the rise of civilization, Collins shows how it is connected to humanity's creation in the Garden of Eden and the secrets Adam passed to his son Seth, the founder of an angelic race called the Sethites. In his search for Adam's legendary Cave of Treasures, the author discovers the Garden of Eden and the remains of the Tree of Life - in the same sacred region where Göbekli Tepe is being uncovered today.